You've seen her mini version here. Today, I'd like to introduce the original 17" version. Cece is just so sweet to look at. 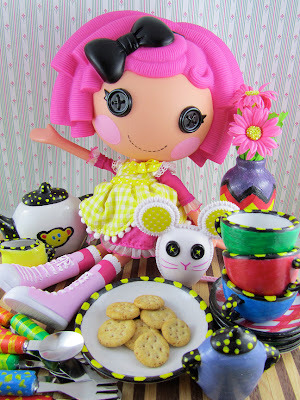 She carries the 'Crumbs Sugar Cookie' title accordingly with her bubblegum pink hair, poofy pink dress adorned with frills and a checkered yellow apron. 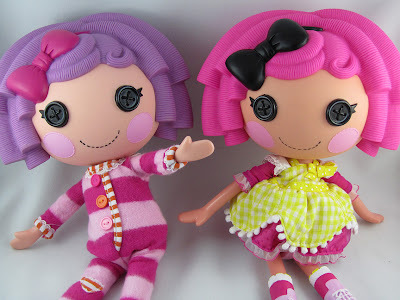 She became an instant best friend to my very first Lalaloopsy doll, Lulu Roo [Pillow Featherbed]. They have two things in common: milk and cookies. She absolutely loves tea time [as do I] and owns a pet mouse whom I've named Chu. It was really exciting to see a ton of these dolls after Christmas. I'm in Canada so the Lalaloopsies here are not exactly in abundance. Though they're not uncommon, when you do find them, it's always the same one that you don't want...or in my case, the one that I already have. 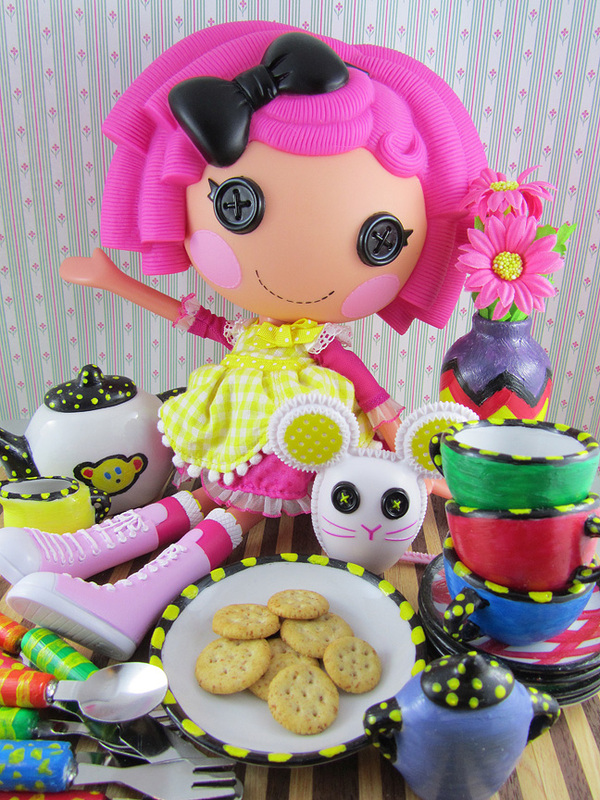 Because I didn't have Crumbs Sugar Cookie at the time, when I saw the entire shelving unit at Walmart full of her, I practically flew over and went through plenty of dolls to find my perfect Cece. I think the sales ladies near me thought I was nuts! Heehee! The lalaloopsy dolls are really cute. There are lots to choose form but i have to i have a favourite one...Crumbs Sugar Cookie!